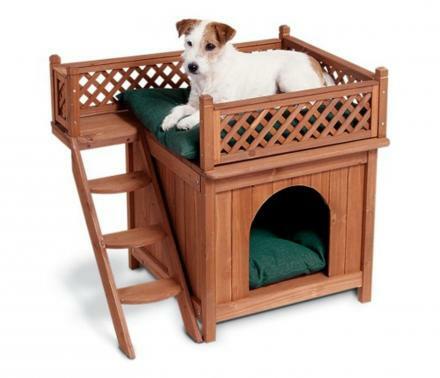 This dog bunk bed is made to look like a small wooden home with a balcony and would work great for 2 dogs to sleep in each bed, or for one dog to have the option of sleeping on the porch or in the home. 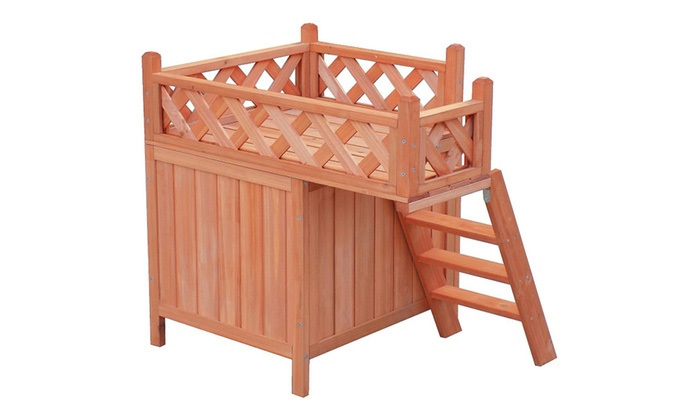 The balcony has detailed latticework that really makes it look like a tiny miniature version of a home. The balcony also has steps that go up to it so that more agile dogs can sleep on top and the older dogs that can't get around very well anymore can sleep on the bottom bunk. 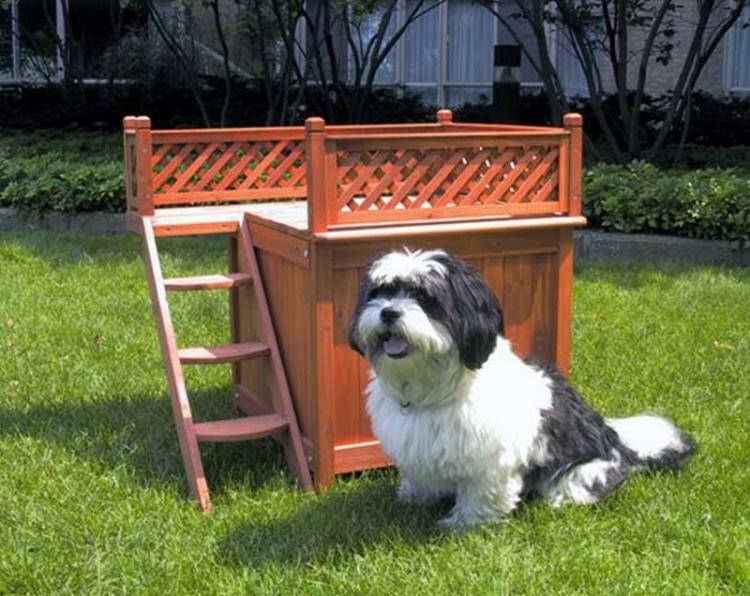 The dog bed bunk beds is designed for smaller dogs so if you've got two 100 lbs dogs this might not be for you. 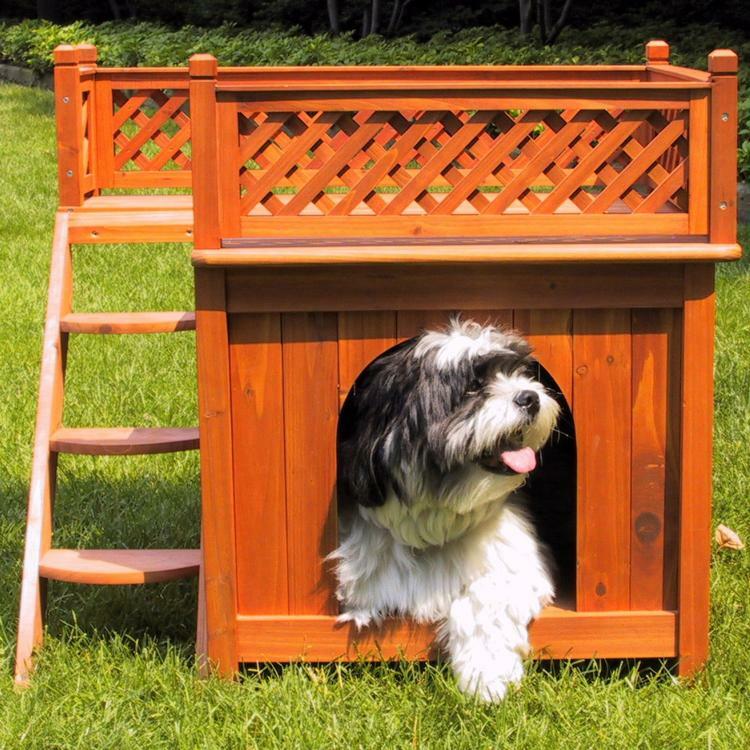 The dog bunk beds or "Wood Room with a View Pet House" as it's so aptly named, is a durable pet bed that works both indoors and outdoors as it's made from kiln-dried cedar wood and is treated with natural color stains. 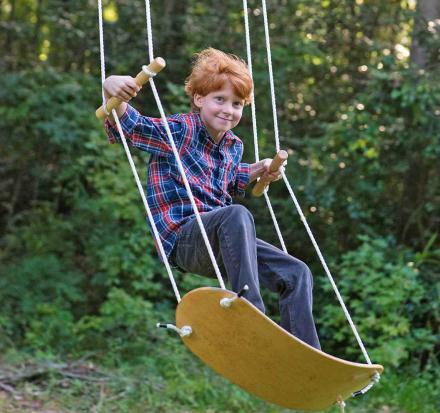 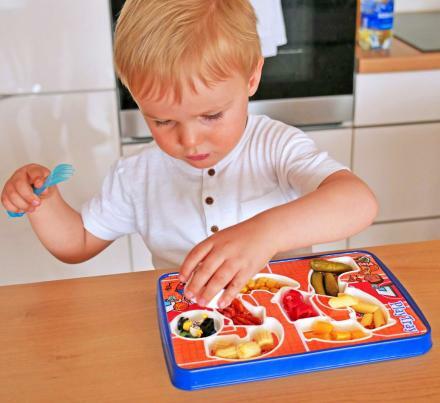 The dog bunk bed comes unassembled which takes around 20 minutes to fully put together, and includes all hardware and instructions you'll need to finish the job. 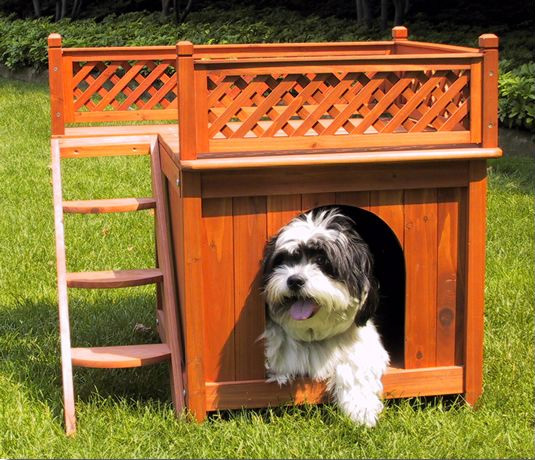 The dog bed bunk bed wooden home with a view comes with a balcony, latticework, and side steps, has knock-down panels and a removable roof top for easy cleaning, plus it has a raised base to keep it dry if it rains. 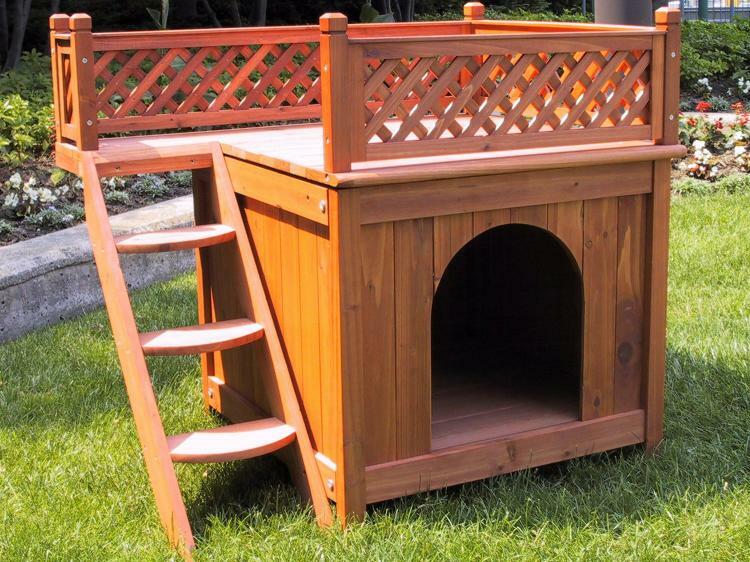 The dog bunk bed weighs 8.6 lbs, and measures 26 inches tall x 29 inches wide x 21 inches thick.